The Pitney Bowes DM400M franking machine is the ideal solution for medium to large businesses sending up to 500 mail items per day. Why consider a DM400M franking machine? As a high capacity franking machine, the DM400M from Pitney Bowes can process up to 500 items of mail per day at a rate of up to 95 letters per minute. However, as part of the long established Pitney Bowes range, it is still very simple to use and adaptable to the needs of your business. 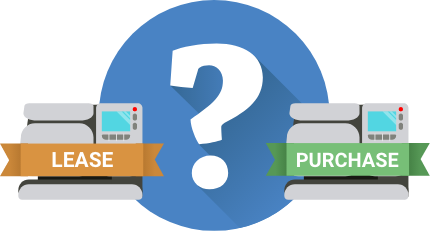 You can choose whether you want an integrated scale of 2.5kg or 5kg capacity, or even upgrade to 7kg, 12kg or 35kg. It will process envelopes up to 8mm in thickness and up to 330 x 381mm in size. There’s no need to worry about manually updating the machine or downloading the latest Royal Mail prices as the machine does this automatically via IntelliLink technology. The DM400M enables you to track usage for up to 25 different accounts as standard but this can be increased to accommodate larger businesses. It’s really easy to ensure all your mail is professional while promoting your brand by printing crisp, clean logos, QR codes or marketing messages on your envelopes. What post can you send with a DM400M? The DM400M will process First Class, Second Class, Priority, Express, Postcard, Flat Rate, Parcel Post and International mail classes including parcels up to 5kg. You also have the option to upgrade the scale to a higher capacity of 7kg, 12kg or even 35kg if needed. The DM400M is designed for high output offices sending up to 500 items per day and will process at a rate of 95 letters per minute. Franking mail rather than sending via standard post can save your business both a lot of time and valuable money. The amount you’ll save will vary depending on what type of mail you’re sending and adjusts each year as Royal Mail recalculate their tariff. Luckily, the DM400M automatically updates to the latest software and prices so you don’t need to worry. You can also add more credit to your account over the phone or over the internet. Fully automatic envelope feeder for maximum efficiency. This machine gives you the option to expand the 25 user accounts included as standard to as many as 300 for maximum control over your budget department by department. Dimensions of just 840mm x 500mm x 315mm for easy installation. Print advertising messages, logos or even QR codes on your envelopes to reinforce your brand with recipients. 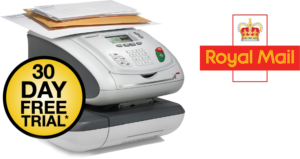 IntelliLink technology the DM400M automatically downloads the latest Royal Mail postage costs and software. If you’re interested in saving on your business’ postage costs with a Pitney Bowes DM400M franking machine, we recommend comparing multiple quotes to make sure you’re getting the best deal.